Thaitsuki is building the highest quality Japanese swords currently available.Thaitsukis are true handmade swords that are produced in very low volume. 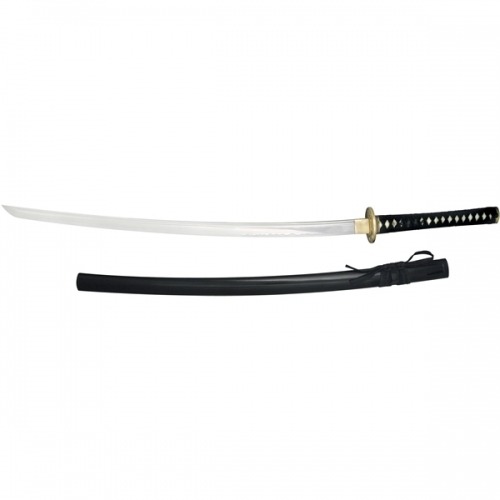 Each component is hand crafted then fitted and assembled to create the finished katana or wakizashi. The end result is a sword that is a unique and functional work of art. The Dokuji Nami katana continues Thaitsuki tradition, with a hand forged and folded 1024 layer high carbon steel blade and top grade silver fittings. The S02 is forged, folded, polished and sharpened entirely by hand, a rarity in this price range. This is simply one of the finest Japanese katana blades you will ever see. 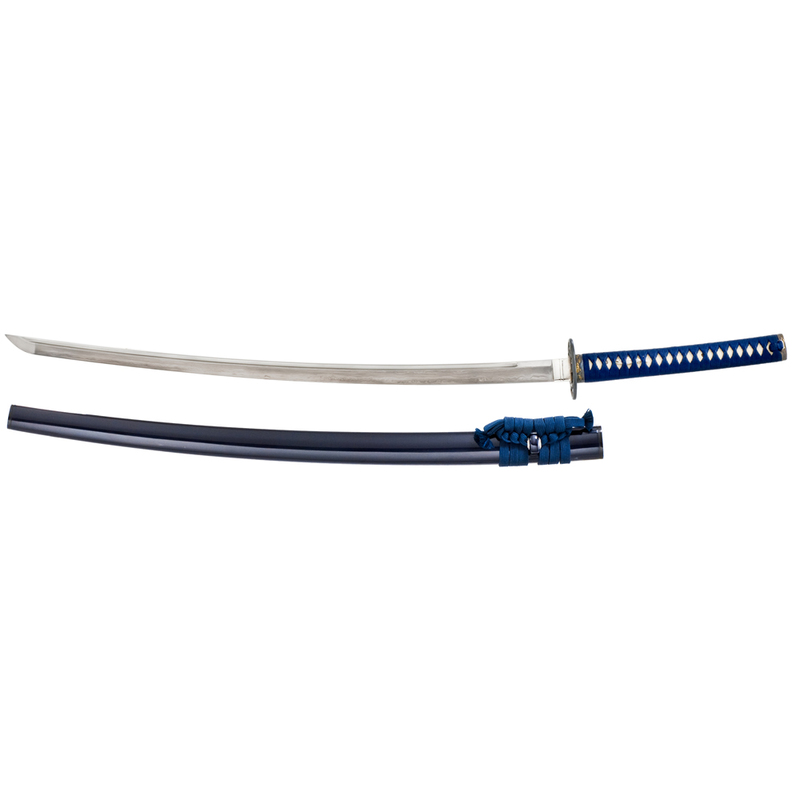 Silver handmade fittings and stunning blue Japanese silk over an ivory high grade rayskin tsuka with a Nami motif round out this stunning sword. 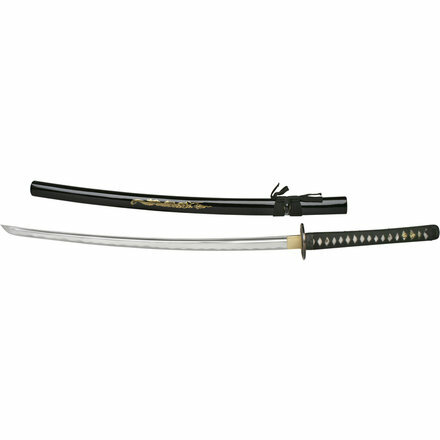 The full tang, high carbon steel blade is hand forged from high grade Japanese steel. It is clay coated, heat treated, hand polished and sharpened. It is hand forged in the Koto style and folded with 1024 layers and features a half Bo-Hi. Differentially tempered, the edge hardness is 60 HRC and the body hardness is 35HRC for correct flex and superb feel when cutting. The hada is beautiful and the natural hamon is promient. Thaitsuki does not overlook the saya as part of the finished product and this saya is truly beautiful! A two layer, hand rubbed black lacquered hardwood saya with black horn Koiguchi enhances your investment. 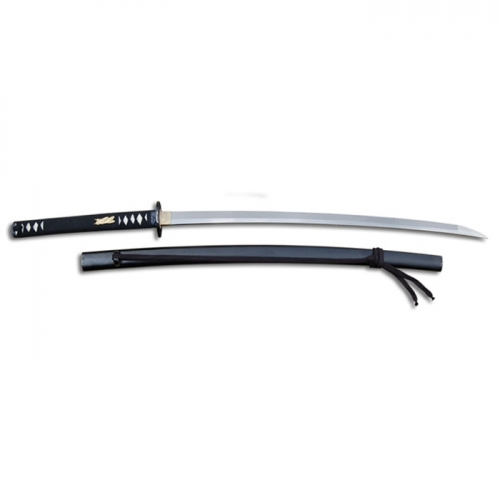 This katana can be completely disassembled for full maintenance.